It is not in human nature to cherish the gifts we’ve already been blessed with. When good things come easy in life, one hardly learns to appreciate them. Sometimes, all we need is a person to show us how lucky we really are. Even though Gurumustuk Singh Khalsa, founder of Sikhnet.com and better known by his blog name ‘MrSikhNet,’ was born and raised with Sikh values, he wasn’t lucky enough as those culturally-raised in the environment. His American roots made it difficult for him to fit in. His faith and appearance were challenged every now and then, right since his childhood. Living through all the jokes and walking past all the teasing made him realize how many bridges he’d have to cross to find his way, and how fortunate some others were to be at the finish line right at the start. 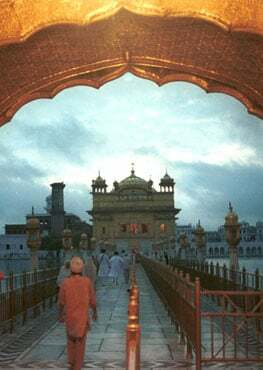 Gurumustuk belongs to the second generation of Western-non-Indian people who adopted Sikhism. His parents were among the first few to embrace the Sikh way of life. It all began in 1968, when Harbhajan Singh Khalsa Yogiji visited America and reformed the lives of ‘hippies’ through simple yoga. “Harbhajan Singh Khalsa Yogiji had a way of relating and communicating to westerners that really connected with the American youth of the time. He immediately recognized that the experience of higher consciousness they were attempting to find through drugs could be achieved through Kundalini Yoga; becoming Sikhs was an unintended side effect,” shares Gurumustuk. When he was eight years old, Gurumustuk began living the ten most crucial years of his life at a boarding school in Mussoorie, India. It was that span of his life that taught him all the cross-cultural lessons and insights that guide him even today as he builds bridges between different communities through SikhNet. “Coming from multiple religious and cultural backgrounds has helped me be much more open, compassionate and understanding towards people. It helps me truly appreciate the path of Guru Nanak – One God, Many Paths,” he says. Given their Jewish and Christian background, Gurumustuk’s mother and father had a hard time answering the future MrSikhNet’s endless questions. In those days, when the internet was scarce, Gurumustuk took it upon himself to find answers and make the knowledge available for the generations to come. He read books, manuals and gathered all the material he could with the help of his friends. His only wish was to make the Guru more accessible to new seekers still discovering the path. In 1996, this teenager parented SikhNet, a global virtual community for all those interested in the Sikh way of life and to bring much needed information to Sikh youth at the time. 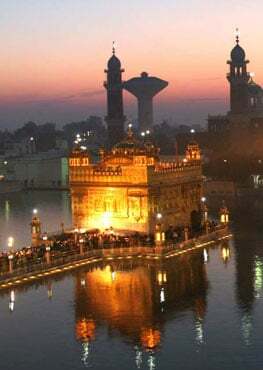 Today it is one of the oldest and largest Sikh portals, reaching millions of people and spreading the good word. Gurumustuk is working towards rebuilding the very values of the Sikh way of life – kindness, compassion and service. He says practicing these values is simpler when you think of the person in front of you as yourself. “People are often caught up in their egos, opinions, status and politics which makes it difficult for them to see what is required of them. It is important for us to open our minds to other’s perspectives. The reality is, that when someone from a different religious and cultural background is learning about Sikhi, they do so from a very different frame of reference. With SikhNet, we try to be supportive towards everyone in his or her path. So instead of pointing out rights and wrongs and preaching, I prefer sharing my personal experience,” says MrSikhNet. Among many other projects, Gurumustul introduced SikhiWiki – an online encyclopedia of the Sikhs; a popular Youtube video series discussing the questions and answers about Sikhi; The Gurbani Media Center – the largest collection of Gurbani Kirtan online; SikhNet Radio, with over 40 channels and reaching thousands of listeners each month; Audio Stories for Kids to help them learn about Sikh history and positive values; and the Youth Online Film Festival. For many people, religion is just a set of rules, something they ought to do. Gurumustuk Singh Khalsa continues to work towards changing this. He believes God gave us limited energy on this earth and we can choose to uplift it or destroy it. So he hopes that everyone discovers what lifts their spirits and makes them shine bright.